A Psoriasis Blog written by a 22 year old girl living in England. I write about my experiences with psoriasis and different psoriasis products and psoriasis treatments that I have tried. All of my psoriasis product reviews are completely independent and only my own experiences and opinions! It has been a while since I have written a post. I have been a bit here and there in my life, moving countries and what not. Sadly the last thing that I was able to keep up with was my blog. However, that doesn’t mean that I haven’t been thinking of stuff that I need to write about. I have recently moved from a tropical, humid country back to England…a cold, dry country. Whilst it has been a struggle to adjust, the hardest and most stressful part has been trying to deal with my psoriasis flare up. What have I been doing you ask? Well, I have been spending a lot of time inside (not specifically because of my psoriasis – just because I am home for the holidays) without makeup on and constantly treating my psoriasis. I like to not wear makeup as much as possible as I am pretty sure the makeup I use doesn’t help my psoriasis what so ever (I am not very makeup knowledgeable soooooo have used the same stuff since I was about 15!) but this is something that I will addressing in the new year. Before I tell the story – the fact that I used Vaseline is irrelevant (I think); you can probably just use any petroleum jelly product. One thing that really stressed me out being back home was that my lips were/are constantly dry and cracked. Not exactly something that I enjoy. I started to put Vaseline on my lips. Then one night when my psoriasis was really bad I just put it over my face. I thought that if it will keep my lips moist and stop them drying out then why wouldn’t it work on my pso!! It was a moment when I had to try something new or I was going to resort to steroid creams, which I hate, because I was just getting to down about how bad my skin was. 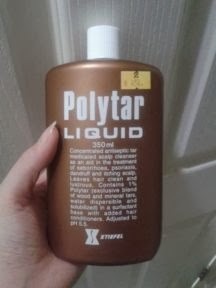 I didn’t apply it all over my face though, because it is so greasy and I really didn’t want to end up covered in spots as well. I put the Vaseline on overnight and checked how it looked in the morning. I noticed straight away that the Vaseline tended to get rid of the white flecks on top of the skin and made the patches feel less rough overall. I have started to use Vaseline more over my body, it doesn’t immediately get rid of the patches but it does seriously help the overall look of them and makes the patches less red and aggressive looking. One thing I have noticed is that without the Vaseline (a few nights I have missed doing it) my skin is worse in the morning – so whilst I think that it isn’t doing anything because the patches aren’t completely going away, it is clear what it is doing when I see what happens when I don’t use it. Where have I been using Vaseline? Currently I am only applying it to my face, scalp line and torso. It is really greasy stuff so getting it out of my hair is an actual nightmare and takes a few rounds of shampoo in the morning to do so. Currently time isn’t an issue for my routine, but when I need to be somewhere in the morning I would probably avoid putting it on my scalp line and on patches actually on my scalp just because it doesn’t look nice if it isn’t washed out properly. I have a lot of patches on my face and only put the Vaseline, liberally, on those spots (as in, I don’t apply it like a moisturiser and just rub it in everywhere). I also put it around my ears and down my neck where I have some patches. The visible patches are the ones that I tend to focus on more, everything that I can cover wearing clothes or whatever tends to get left out of the OTT application of creams/ointments/lotions and potions. However, I have been applying to my torso to see the effect on those areas. Do note that, if you are going to try using Vaseline – it is extremely greasy and will stain your clothes/bed sheets. Just wear PJ’s you don’t really care about and if you are worried about the bed sheets you can put a towel down. Everything is washable – that is my outlook anyway. I didn’t intentionally decide to use Vaseline as a psoriasis product, but, I did it in impulse and I am really happy with the results. Price: 10/10 – It is literally so cheap and you can buy it anywhere!! I think the one I bought was less than £2 for a decent (carry-able) sized tub. Smell: N/A – There isn’t a smell to be honest. Texture: 8/10 – I go through phases of liking the texture of Vaseline. It is a really gluey/sticky products but it goes onto the skin so smoothly. I think I don’t like the way that it is a nightmare to get off (i.e. off your hands after you have applied it and don’t want to get grease onto things that you touch) also it is impervious to a quick water removal. Packaging: 10/10 – I love the Vaseline tub. It looks like and literally everyone at some point in their life has owned or used it….no questions asked. Get a tub and give it a go! You probably have it somewhere in your house already. Good read and thanks for sharing! I'm 17, and was diagnosed with psoriasis 4 years ago, in ninth grade. I was genetically predisposed to it from my dad, but it may never have shown up if I hadn't gone to a very difficult, high-stress school. What I have now is pretty minor compared to completely covering my arms, neck, and scalp years ago, and I think the lack of serious outbreak is mostly due to my cutting lots of snacks out of my diet. Also, this might be a good tip...I cut out all sugary drinks (excluding fruit nectars) and have been drinking 4 bottles of water a day minimum for a few weeks now, and some of my spots went away immediately after. I also quit coffee :'( I still drink it, but not as regularly as I used to, and find that I have much more energy than before. I think the lack of caffeine also helped. I've been experimenting with different foods, and noticed that, in my case, and possibly yours, anything with lots of refined sugar or caffeine(such as commercial chocolates, candies, etc.,) immediately causes inflammation and itchiness. So one of the latest products that I have been using is the Aveeno Cream with Colloidal Oatmeal. It is for dry and sensitive skin (two words that scream the definition of psoriasis). 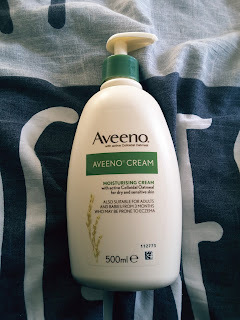 It does say on the bottle "suitable for adults and babies from 3 months who may be prone to eczema"
Helloskin summarise the product; This non-greasy cream from Aveeno, formulated with colloidal oatmeal, helps prevent water loss from your skin by rebuilding the skin’s natural barrier. Aveeno Moisturising Cream has a fast absorption time that makes it convenient for use during the day. Aveeno Cream helps soothe and hydrate dry skin and is suitable for every part of the body. It contains refined oatmeal that is proven to rebuild the natural skin barrier and is free from parabens. The active colloidal oatmeal in Aveeno Moisturising Cream acts as a moisturiser for dry and sensitive skin with effect for 24 hours. 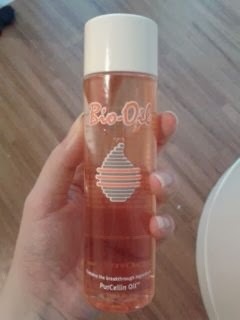 So, I know that Bio-oil is most commonly used as a product to help with stretch marks and uneven skin tone, but I thought that if it would/could help with that, then maybe it will help with the roughness of my skin that is caused by psoriasis. I also have un-even skin tone where the areas of psoriasis are redder than my very pale skin. When an area of psoriasis starts to get better, I also end up with a silver tinted skin patch which looks the same as a scar; therefore, I decided to see what bio-oil does to my skin condition and whether or not it helped. Info: You can buy Bio-Oil in most places. I found this specific one from Costco but I am sure that they are everywhere (Boots/Tesco/Superdrug) or somewhere online. The beautiful people at HelloSkin contacted me, and asked if I would test some psoriasis products for them. 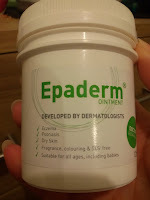 I chose the Epaderm Ointment as I have previously used the Epaderm Cream; with great results! Okay, so to get the ball rolling I thought I would have a look around and see what is out there at the moment and what brands are being discussed about via the internet on other psoriasis sites. 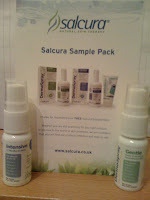 I found that Salcura Skin Care are being talked about in a few places, so I thought I’d give their site a look over and saw that they were doing a “free trial” on some of their products. So hey, seeing as I'm not exactly bursting at the seams with cash, I thought I’d pay the £2 p&p and give their products ago. Tar Shampoo; what I use and their reviews! So, saw this article in the Daily Mail titled; “Coal tar shampoo was a standby for psoriasis and eczema. So why HAS this trusted skin treatment disappeared?” and I got a bit worried. I really hope that tar shampoos are not going to disappear. They may not completely clear up psoriasis but for me they really help with controlling my scratching and of course they do help with psoriasis symptoms – less flakes, less bleeding, less pain, less itchiness. Plus, personally, I really like the smell of them. I tend to get really bad psoriasis in my scalp. I think I make it worse as I am really bad when it comes to scratching it. However, the worst part is that I don’t realize I am scratching it until it’s too late and I have already made it worse. I guess it is one of those bad habits you develop over the years and just become oblivious to. 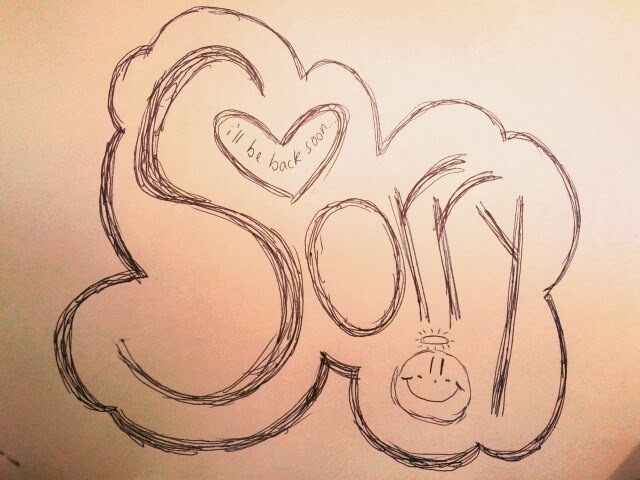 I am so sorry for not writing anything recently. Sorry to those who enjoy reading the articles (hopefully there are a few of you out there) and to those who are struggling with psoriasis and who I could have helped but didn’t as I haven’t written in a while. I went on holiday, my laptop broke and I was busy busy busy at work! So, sadly I have been negligent to my blog for a while. They are all on their way so stay with me and I shall upload them once they have been finalized. Poll = "What do you think is the worst thing related to having psoriasis?" I am very excited for this; this is the data that was collected from the question poll on my page! 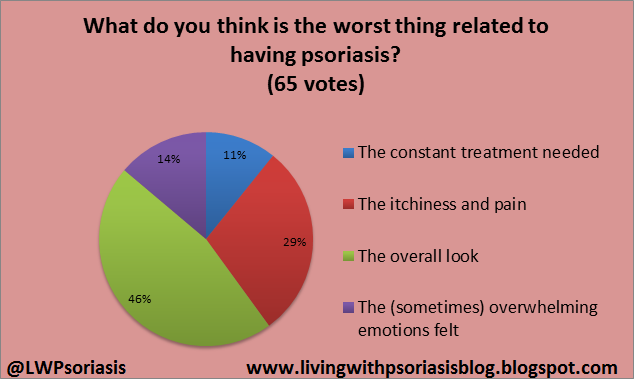 I hope these polls will highlight that the feelings associated with psoriasis and to show others outlooks on having the condition. If you have any ideas for new poll questions;anything that you personally want to know or and questions you have, then comment below and I will create one.